Christmas and television just seem to go together. Families gather during the holiday season, more so than at any other time of the year. We share our favorite films, shows, and specials. And we create memories and traditions that can last a lifetime. If you do this — or would you like to — then getTV is the place to be. It's where America celebrates Christmas! Our annual “Most Wonderful Month Of The Year” celebration kicks off November 23 with The Soul And Sprit Of Christmas, featuring some of the most inspiring voices in gospel, soul, and R&B. 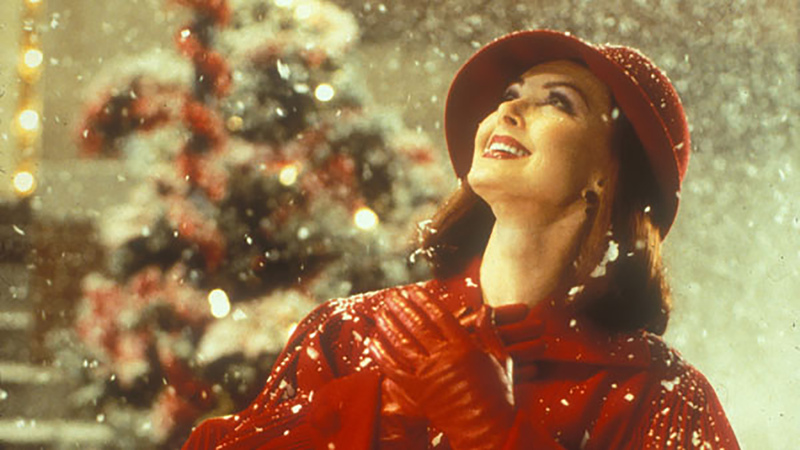 Plus, we’ve got Sunday afternoon binges of heartwarming holiday films featuring icons like Debbie Reynolds, Patrick Stewart, and Cicely Tyson. Do you miss the classic Christmas variety programs from entertainers like Perry Como, Johnny Cash, and Andy Williams? Our Sunday night line-up has you covered. And we’ve sprinkled holiday-themed episodes of classic TV shows like Married With Children with Ed O’Neill and All In The Family with Carroll O’Connor throughout our schedule like nutmeg on eggnog. Finally, we cap it all off with 60 straight hours of programming from December 23 through Christmas night. Even Santa doesn’t work those kinds of hours! You can see all of our Christmas shows here and print out a complete schedule (perfect for highlighting and keeping near the TV). Plus, you can be part of our celebration by adding #getTVChristmas to your social media posts. We’ll collect these and share them on our website for your fellow getTV viewers to enjoy. 10. The Perry Como Specials (1976–1982) are part travelogue, part variety program, and all delightful! The honey-voiced crooner hosts four shows from the 1970s and ‘80s, all rarely rerun: Christmas in Austria (1976) with Sid Caesar (December 25 at 4a); Early American Christmas (1978) with John Wayne (December 3 at 1a, December 17 at 1am, December 21 at 2a, December 25 at 3a); Christmas in the Holy Land with Richard Chamberlain (December 19 at 2a, December 25 at 2a); and Christmas in Paris with Angie Dickinson (December 24st at 1a, December 25 at 5a - all times ET). “The Most Wonderful Month Of The Year” continues on getTV through December 25. For more, visit the getTV schedule.